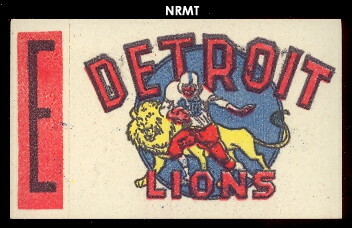 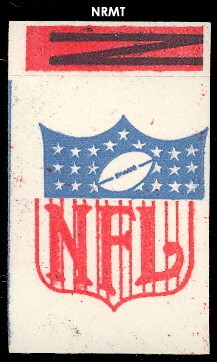 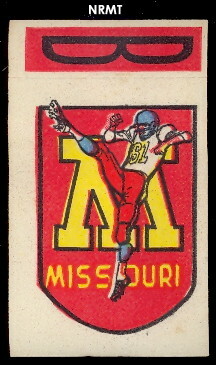 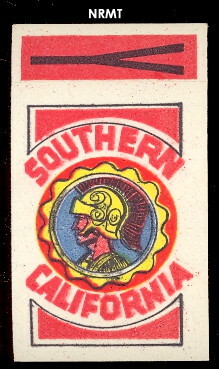 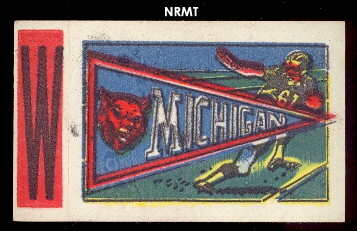 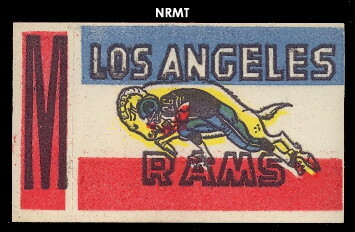 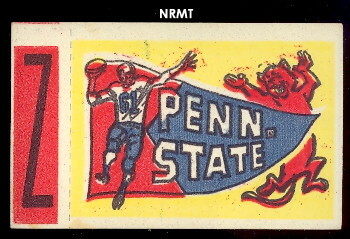 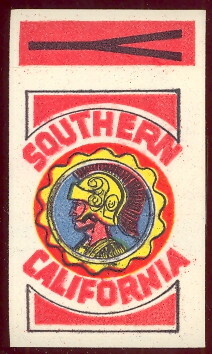 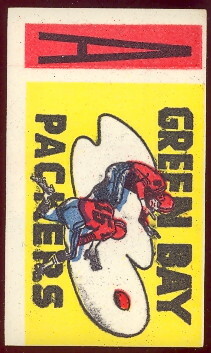 This 48 sticker set was inserted in 1961 regular issue topps football cards. 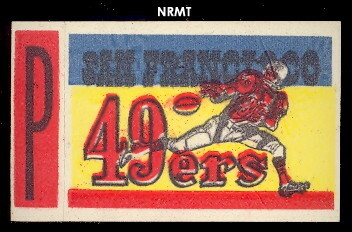 They are unnumbered, there are 15 NFL, 9 AFL and 24 College Teams. 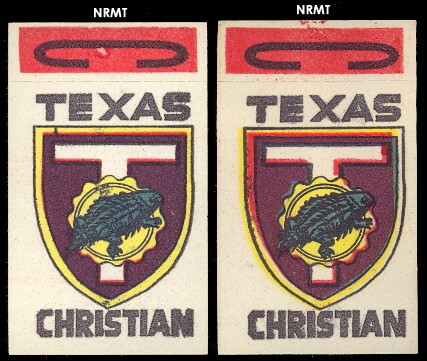 They measure 2" X 3-3/4" with the letter tab and 2" X 3-3/8" without the tab. 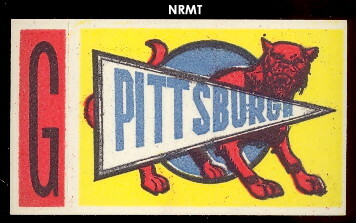 Stickers without tabs are worth much less.